Grainne specializes in effectively delivering large transformation programs at top tier financial institutions. She is currently focusing on digital transformation, helping banks and other companies transform by leveraging emerging technology and agile delivery methods. She is also working on solutions for more effective use of human capital and expert talent, working with leading edge productivity and robotic process automation technologies. Grainne plays a leadership role for PwC’s blockchain efforts. In this role, she works with FinTech companies and large technology companies, to help harness the power of the blockchain eco-system to drive competitive advantage and to promote efficiency in the financial system as well as in multiple other industry sectors. She has over 20 years of experience in implementing regulatory change, managing people, and providing strategic direction across divisions at firms such as Goldman Sachs and Morgan Stanley. Grainne has designed and managed large-scale implementations through the entire lifecycle, from design through build, test, and adoption/conversion. 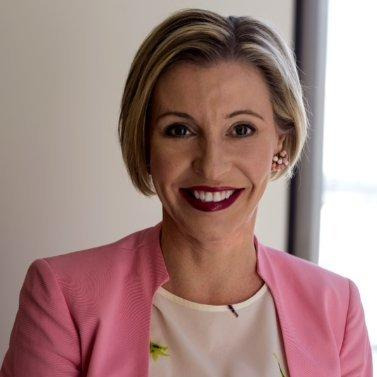 An expert at running multidisciplinary teams, Grainne helps large programs deliver what the business needs for transformation, through partnering with technology providers and focusing on managing the risks and costs involved in any change program. Grainne is passionate about efforts to transform the lives of women and girls and sits on the Board of the New York Womens Foundation, where she is an active fundraiser and advocate. She has three young children and lives in Brooklyn, New York.